Designed to showcase 300 gold bottles of Armand de Brignac, the undulating Barclays Center Champagne Wall emulates the sweeping form of the arena's exterior with a custom hidden structure. 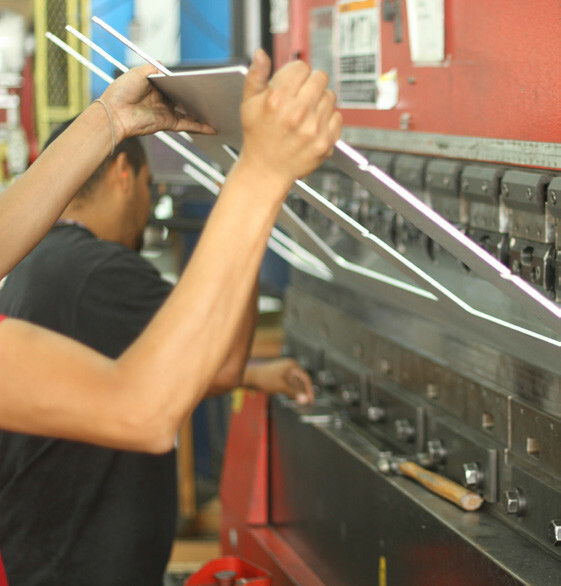 Following initial discussions with SHoP to establish their vision for the project, I streamlined the structural elements, established a fabrication method, and instituted a plan for assembly. I worked closely with the architects to transform the initial design—which called for plywood ribs and custom metal brackets—into an unobtrusive support system that would fade into the background. I collaborated closely with SHoP throughout the design of the system and assembly to ensure the final piece was in line with their vision. I also provided consulting to ensure a smooth installation process; I developed sequencing and assembly methods that allowed the wall to be constructed in about one day. 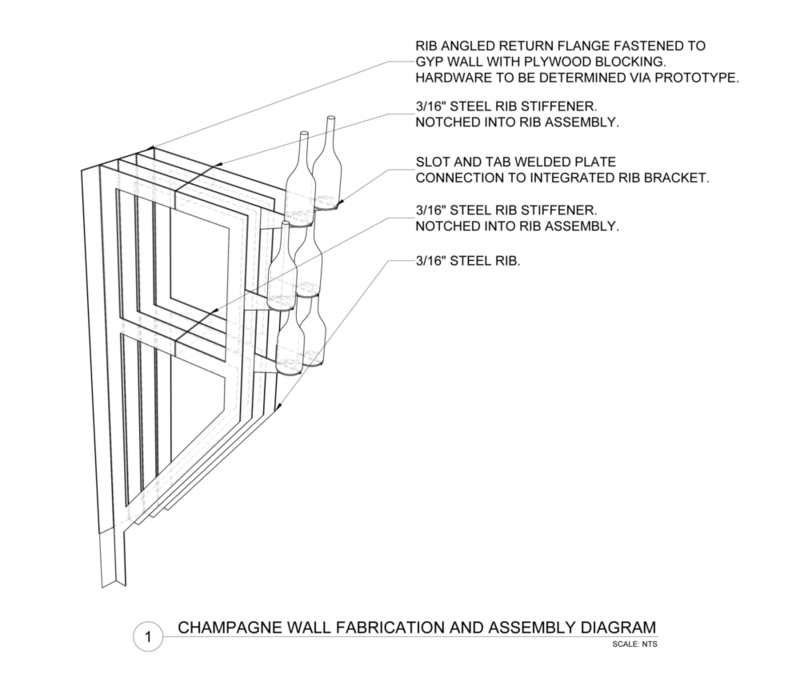 The 66 Aluminum ribs have integrated mounting brackets and welded circular pedestals for the champagne bottles, and each part was annotated for ease of fabrication and installation.